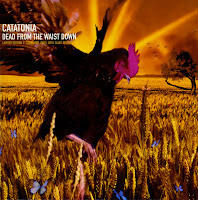 'Dead from the waist down' was released as the first single from Catatonia's fourth album 'Equally cursed and blessed'. The decision had been taken by the band quite early on that 'Dead From The Waist Down' would feature a string arrangement. Paul Jones and Owen Powell of the band previously decried the gratuitous use of strings to make a track sound 'posher' by simply plastering them over a perfectly good arrangement, and so the band were keen to find something which truly complemented what they had already recorded. It was a good choice: the single peaked at number 7 in the UK singles chart, making it the last of their three UK top 10 hits. The single was pressed on yellow vinyl and also included a large poster featuring the cover artwork. 'International velvet' was the third album of the Welsh band Catatonia, which consisted of lead singer Cerys Matthews with Mark Roberts, Paul Jones, Owen Powell and Aled Richards. The album became their breakthrough as it topped the UK albums chart in 1998. 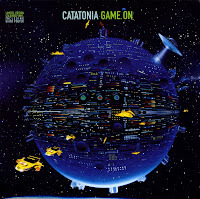 The single 'Game on' was the fifth taken from the album and included a live acoustic version of the previous single 'Strange glue' on the B-side. This limited edition 7" single was pressed on bright green vinyl and also included a large poster.